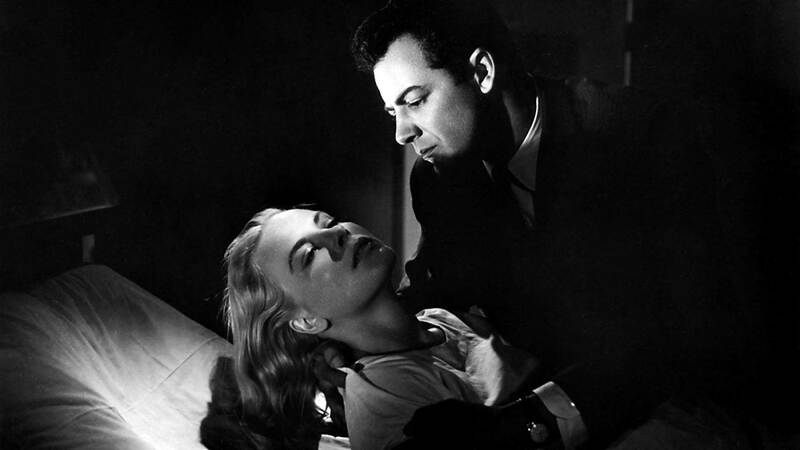 By the mid 1950s film noir, the shadowy world of which had given the cinema such crime classics as The Maltese Falcon, The Glass Key, Double Indemnity, The Big Sleep, and Gilda had pretty much run its course. Audience tastes in the United States were shifting away from the seediness and grit of the urban crime story, probably because by the mid 1950s Americans were enjoying prosperity and, significantly, were leaving the city and moving to the suburbs. An unprecedented consumerism took hold, and because it was the beginning of the space age, the new suburbanites were looking into a clean, bright future. Hence all those huge cars with outlandish tail fins and all that chrome; hence all those electrical appliances that promised housewives so much free time. What chance did the gloomy world of jaded private eyes, damaged broads and brutal gangsters have against such entertainment? The Big Combo is notable, then, for being one of the last of the film noirs. I would reluctantly recommend it, though, as I don’t think it’s a particularly great film. Although it’s well enough directed by Joseph H. Lewis, and has some atmosphere – mostly because of the excellent cinematography of John Alton – and a couple of good moments, the script by Philip Yordan is fairly by the numbers, and the acting – with a couple of exceptions – is poor. The star is Cornel Wilde, and he also produced. Wilde will always be remembered as a minor actor in Hollywood (with the exception of his Oscar nomination for playing Chopin in A Song to Remember). He had little in the way of screen presence, in spite of his best efforts to be tough. In real life he was an accomplished fencer and was fluent in several languages, but for me he never brought anything interesting to the movies. He’s fairly stodgy here as Lt. Diamond, who stubbornly goes after a mob boss even after his superiors tell him to lay off the case for lack of evidence .There’s a lot of talk about how much it costs to tail crooks, which gives Diamond a chance to get all righteous about the spread of crime, how the hoodlums are ruining it for ordinary citizens. Diamond, incidentally, has a curious way of saying “hoodlum”, rhyming ‘hood’ with ‘food’. It’s somewhat difficult to believe that the exotic looking burlesque dancer, Rita (Helene Stanton) would even bother with Diamond, especially as she knows his heart isn’t really in it. He is disconsolately in love with a gangster’s moll, Susan Lowell ( Jean Wallace). Susan is that old cliché of noir: high-class arm candy (she used to be a concert pianist, and when the film wants you to feel really sorry for her, she listens to classical music and looks wistful). Wallace is also fairly bland, but she was married to Wilde, and this is one of those cases where the producer cast a spouse or girlfriend in a role that her talents didn’t equal. There are two bright spots in the whole thing: Brian Donlevy and Richard Conte. Donlevy is Joe McClure, who has aspirations to run the syndicate himself, but who apparently doesn’t have the killer instinct. “You’re a little man,” he’s told. The term “little man” pops up a lot in the film (there’s a lot of small man syndrome going on here). McClure has to settle for being Number 2 in the organisation. The word ‘mafia’ is never used in the film. Richard Conte is good and vicious as the leader of the syndicate, the ruthless Mr. Brown. If his face is familiar to you, it’s because you’ll recognise it from several movies (A Walk in the Sun, 13 Rue Madeleine, Call Northside 777, I’ll Cry Tomorrow). He was Barabbas in The Greatest Story Ever Told, and he was the head of one of the five families in The Godfather. He’s a brutal mob boss here, and he has two nasty henchmen to do his bidding, one of which is the vulpine Lee Van Cleef (a name I can’t read without hearing him mutter ‘Tucamcari’). Van Cleef’s partner is dimwitted Earl Holliman. They dispose of several witnesses that could otherwise help the police lieutenant with the case. But when it comes to dishing out torture, Mr. Brown prefers to do it himself, blaring music into a hearing aid to make a victim’s ears ring. 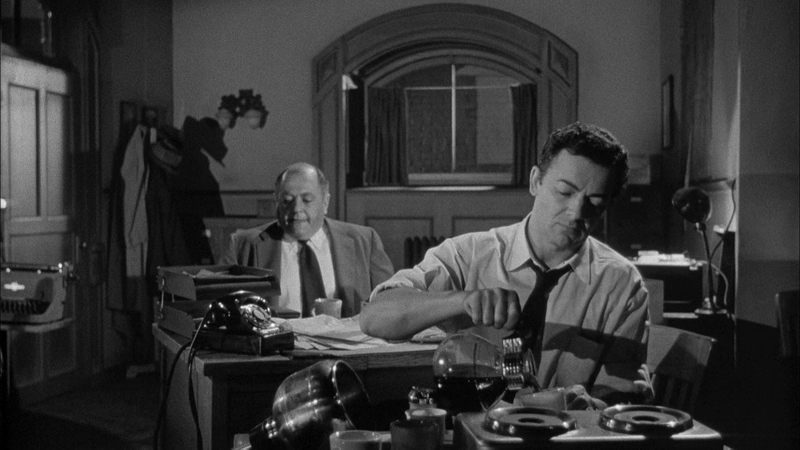 The hearing aid belongs to his fixer, McClure, and it plays another key part in the film when he removes it so he can’t hear gunfire (this scene is probably also the most stylish point in the entire film). Then there’s Helen Walker as a woman who has suffered a nervous breakdown for good reason, and who could ensure that Mr. Brown goes to prison, only she’s terrified of him. There’s also the curious relationship between the two henchmen. Are they meant to be gay? They sleep in the same room: not the same bed, of course, not even married couples slept in the same bed. And Holliman has a habit of touching Van Cleef and looking hopefully at him, and he wants the two of them to double-cross the boss and run away together. The Big Combo wisely implies most of its violence. As I said the script is only so-so. Yordan won an Oscar for the story of Broken Lance, and his name appears on such films as El Cid, King of Kings, Joe Macbeth, The Naked Jungle, and 55 Days at Peking. In the 1950s he was a front for several blacklisted screenwriters (perhaps his decent films were written by others, and the middling The Big Combo is all his own work). 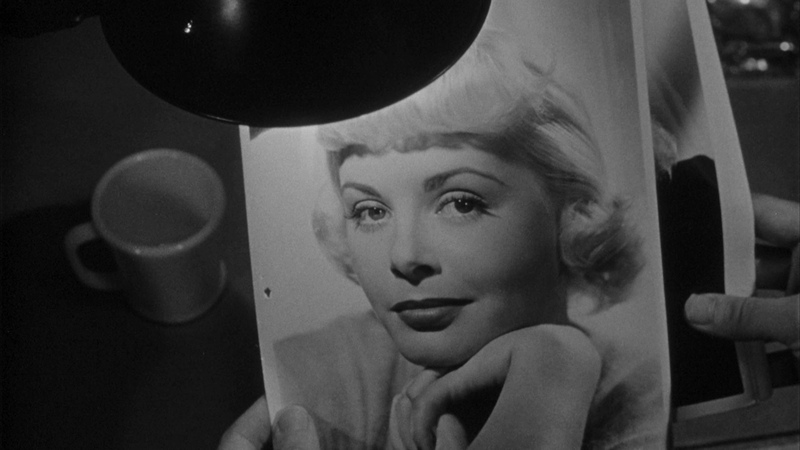 I wouldn’t go out of my way to recommend it, not when there are so many better film noirs, but Alton’s stylish black and white cinematography is impressive. Alton won the Oscar for An American in Paris, and he also photographed The Teahouse of the August Moon, Tea and Sympathy, and Elmer Gantry, as well as writing a well-received book on the art, Painting with Light. The Big Combo isn’t quite good enough to be a truly classic noir, but it certainly looks the part. Good one Niall, a little known (these days) and rarely discussed gangster film. As for Wilde, I agree that he is less than animated in any role, but Conte delivers his usual marvellous (and invariably underrated) performance, and your take on the henchman is perfect observation. I really like this film, which I think is better than you conclude, and hope it comes around on TV again soon. Darrell, I preferred the previous theme. Just an observation of course…Regards, Pete. i’ve been watching a lot of really good noir lately, so i think that had an effect on how i felt about this. awesome cinematography, though, and i forgot to mention the music score, which is great, and of course the film has the most wonderful sound in cinema and very common in film noir and srime pics: the long, plaintive wail of an old-fashioned police siren. nice review, as always. and I am loving the re-design! I just adore film noir and have an entire collection of them. 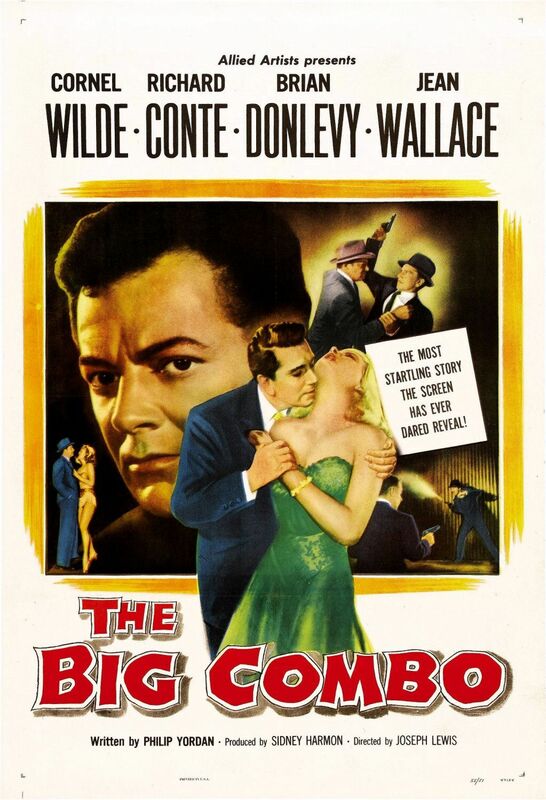 Haven’t seen “The Big Combo” and don’t think I will after reading your review, seeing that you know your noir pretty well. I would like to get your opinion on something. Don’t you consider “Chinatown” as film noir, even though it’s color. I mean it has all the ingredients of classic noir right down to the set detailing and costumes. The only thing is that it’s in color. What do you think? hey Russel. I absolutely do consider ‘Chinatown’ as film noir. And it’s brilliant. It’s like a wonderful homage to the genre while at the same time being this knowing pastiche of film noir; I’ve often wondered how it would be if they had filmed it in black and white. When I say that film noir had run its course by the mid-50s, I mean that it was becoming lesss popualr with audiences, but the genre itself remained. There are several ‘noir’ type films that were made after the 50s: Chinatown, The Big Easy, Body Heat, LA Confidential, The Black Dahlia, the remake of The Postman Always Rings Twice … The Usual Suspects has a lot of noir in it. There was a film last year called Broken City with Mark Wahlberg and Russel Crowe that was sort of noirish. If you haven’t seen the BBC TV series “The Singing Detective”, go watch it. It’s brilliant: a wonderful homage to noir and also a clever detective story in its own right: it’s very ‘meta’ and it’s very good, and Michael Gambon is great in it. 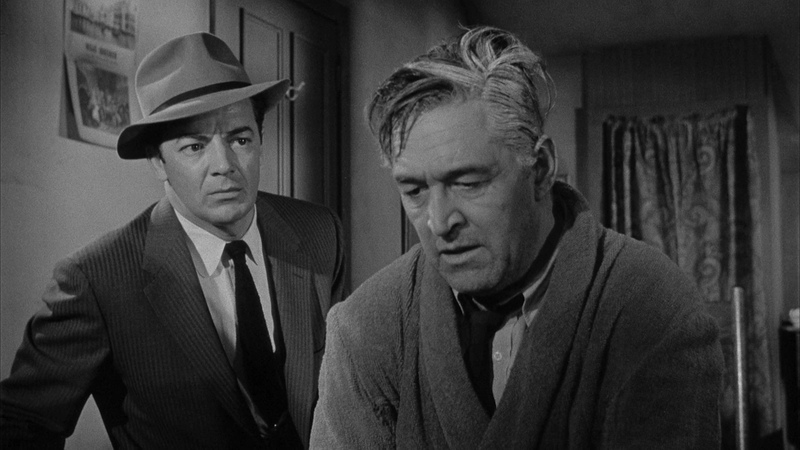 I don’t know if I “know” my film noir as you suggest; I just wasn’t as engaged by The Big Combo as with other film noirs, but as I say I think that’s because Cornel Wilde is kind of only so-so as a lead, compared with, say, some of the classic noir men: Bogart, Mitchum, etc. But as I said, the cinematography is wonderful, and Conte is great and nasty. So I think you should maybe reconsider avoiding it; it’s not terrible: it’s just not “The Big Sleep” or “The Maltese Falcon” or “The Postman Always Rings Twice” (the original). Good call with Potter’s ‘Singing Detective’, and let’s not forget Bob Hoskins in ‘Pennies From Heaven’ , if we are talking TV classics. Cheers Niall. Glad to you hear your views on Chinatown and other modern noir. Admittedly there aren’t many, but every once in a while one or two do spring up and even fewer are a pleasant surprise. Thanks for referring me The Singing Detective. Seems like something right up my alley. Will surely check it out. it’s brilliant, and pete is right when he says to check out the original Tv series of ‘Pennies from Heaven’ (there was also a film of that with Steve Martin. ‘Pennies from Heaven’ and ‘The Singing Detective’ were both written by Dennis Potter. Will definitely check out both these TV shows.